Tired of deciding between high yield or high quality? HarvXtra® alfalfa with Roundup Ready® Technology gives you flexibility in the field with an unprecedented seven-day cutting window. The only Traffic Tested® Roundup Ready® Alfalfa. Delivering unsurpassed weed control with superior crop protection. Alfalfa that Passes the Test of Tread. Select our exclusive Traffic® Tested varieties to protect your yield against the heavy wheel traffic which opens the crown to disease and winter injury. Wondering which conventional, Roundup Ready® or HarvXtra® Alfalfa with Roundup Ready® Technology variety is right for you? Click through the Variety Selection Tool to help you find the best variety for your area. 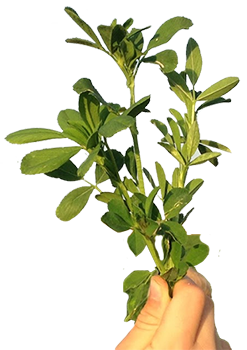 HarvXtra® Alfalfa is the industry’s first genetically enhanced alfalfa technology developed to maximize quality compared to conventional alfalfa at the same stage of maturity, by reducing the amount of lignin in the plant. We’re now proud to offer AmeriStand 480 HVXRR which includes this innovative technology. This product is also stacked with the Roundup Ready® Technology, which enables growers the ability to apply Roundup agricultural herbicides up to 5 days before cutting for unsurpassed weed control with excellent crop safety. Analysis shows it can be more profitable to grow alfalfa than row crops - like corn and soybeans. Click on our Alfalfa Profit Calculator and see the USDA & extension averages along with current market data, alfalfa may be up to $100 more profitable per acre than corn and even more so when compared to soybeans. Then, enter your own yield and related expenses into the calculator to see how alfalfa can add to your bottom line.